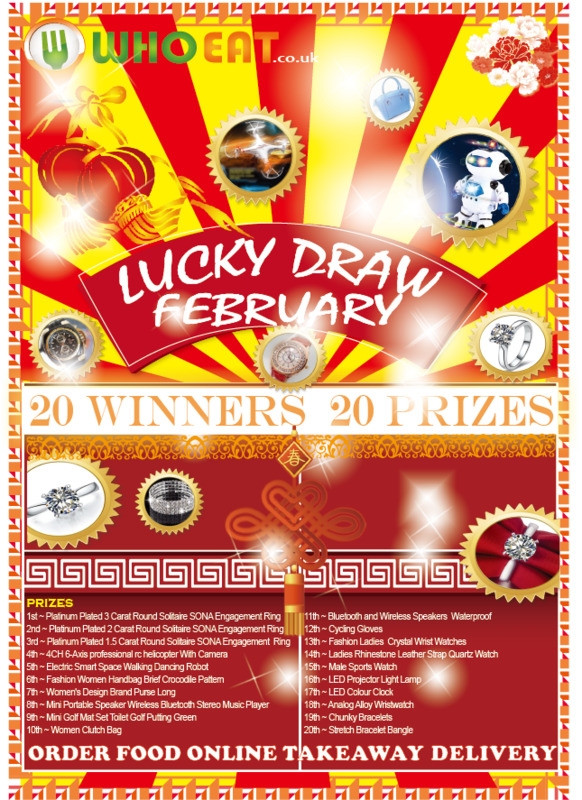 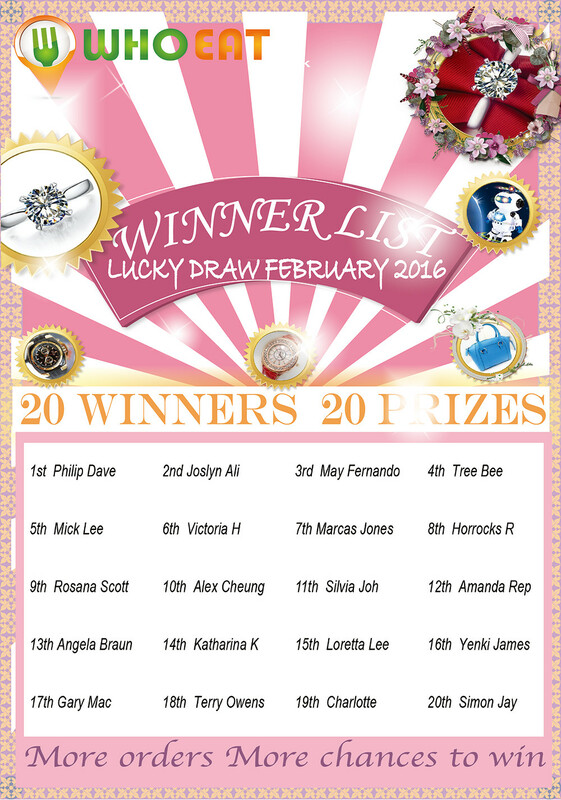 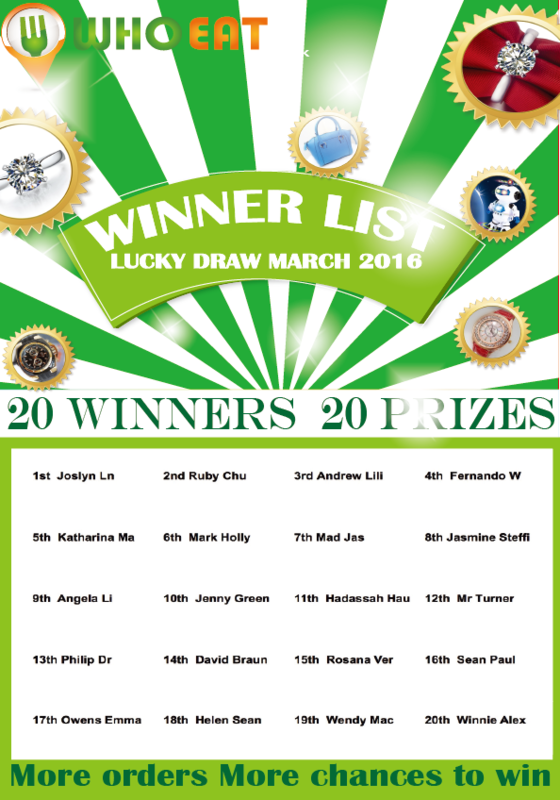 The Lucky Draw of March 2016 is from 00:00 of 1st Mar 2016 to 23:59 of 31th Mar 2016. 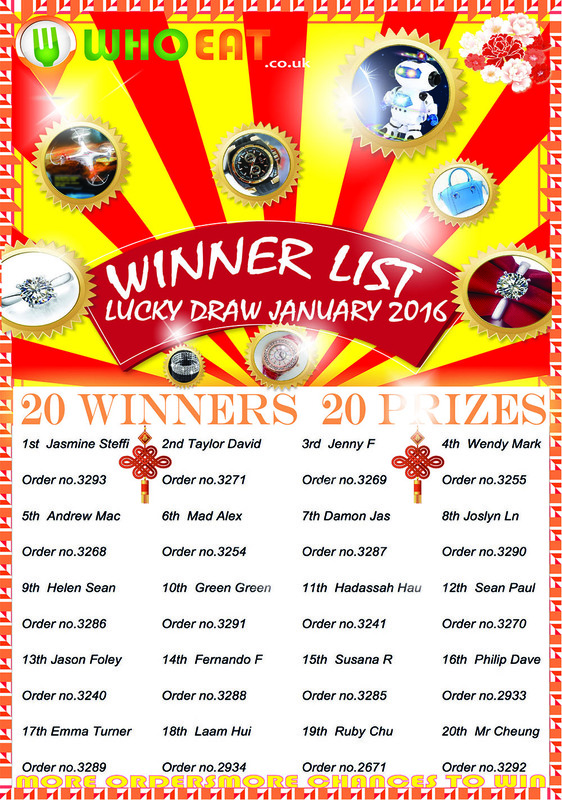 Unlimited entry – More order more chances! 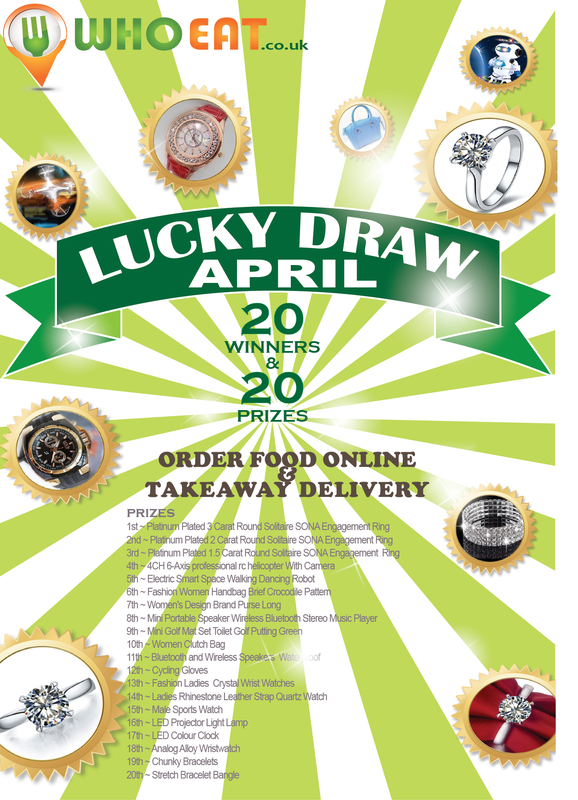 Order your meal online with WhoEat.co.uk to get the chance to WIN! 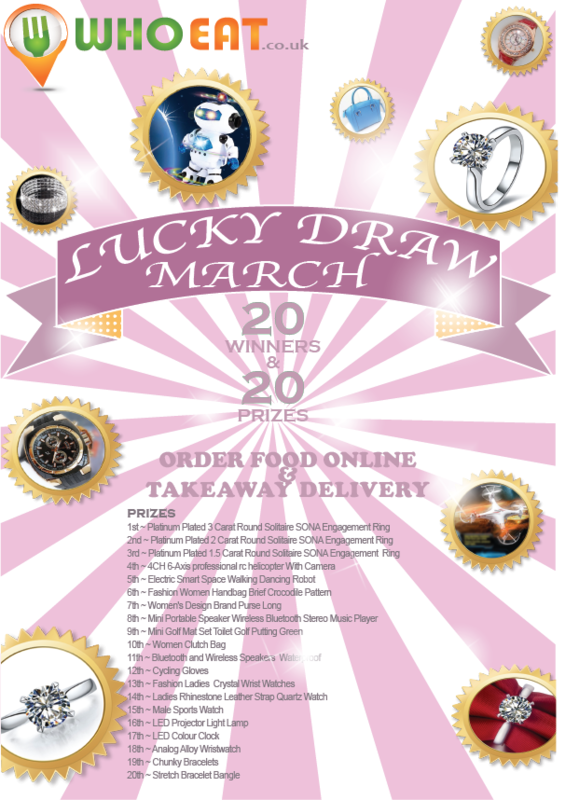 More Orders More Chances To Win!